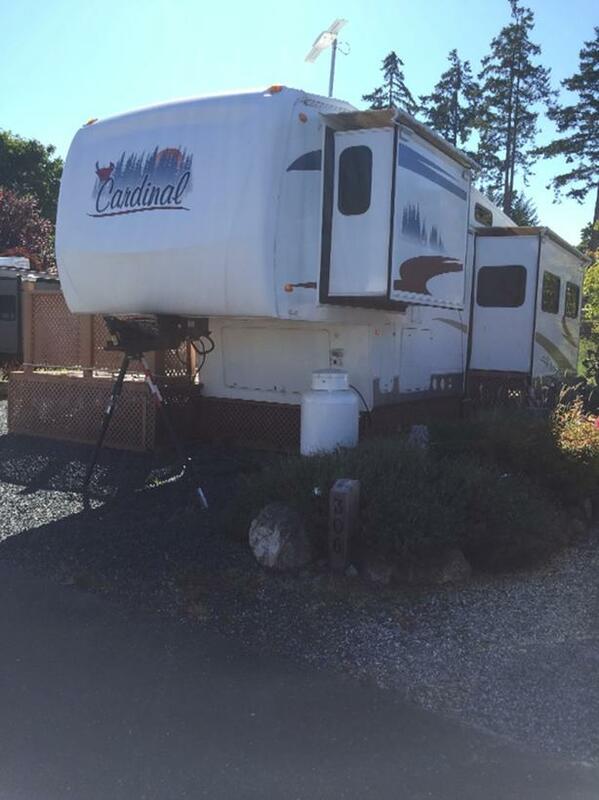 2007 36 ft cardinal RV. 2 bedrooms,2 bathrooms, polar package for year round comfort. 40,00 btu ducted furnace, on demand hot water(never out of hot water). 3 slides operate on hydraulics, 8 ft ceiling in living room, surround stereo system, king size bed in main bedroom. this RV has too much to list. Very well taken care of. must be seen to be appreciated. comes with beautiful RV site. 2 minute walk to ocean. Very inexpensive Victoria living. Can be moved off site if wanted.